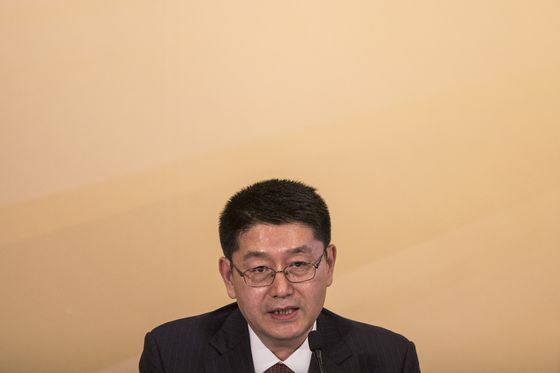 China has named a new chairman for its $941 billion sovereign wealth fund, people with knowledge of the matter said, ending a two-year stretch without a top leader. Peng Chun, the chairman of Bank of Communications Co., was tapped to lead Beijing-based China Investment Corp., the people said. The 57-year-old replaces Ding Xuedong, who left in February 2017 for the State Council. Ju Weimin was named general manager, replacing Tu Guangshao, who’s retiring, the people said, asking not to be named as the appointments aren’t public yet. Peng’s appointment may put an end to a period of uncertainty at CIC during which several senior executives departed. Besides replacing those managers, a key task for Peng and Ju is tweaking an investment approach that has at times been vulnerable to swings in public markets. The appointments were announced to a small group of CIC executives on Tuesday, two of the people said. An email sent to CIC’s press office didn’t receive an immediate response. CIC has been under pressure to diversify investments and reduce its exposure to volatile public markets. Created in 2007 to pursue higher returns on China’s then surging foreign-exchange reserves (a stockpile that has shrunk 23 percent from its 2014 peak), the fund hasn’t received any further capital injections from the government since 2012. To that end, CIC plans to boost alternative and direct investments to 45 percent or more of its overseas portfolio in three years to seek more stable returns, Tu said a year ago. While the fund reported its best annual return on overseas investments in 2017, last year’s performance was “certainly” worse because of global market fluctuations, Tu said in an interview at China’s annual legislative meetings in Beijing last month. Some of CIC’s senior departures have included Zhang Qing, the executive vice president at direct investment arm CIC Capital, and Winston Ma Wenyan, the former head of CIC’s North America office. Peng, who has a master’s degree in economics from a school that was run by the central bank, served as vice president of CIC for more than three years before being appointed president of BoCom in October 2013. He became chairman of the Shanghai-based lender in February 2018. BoCom boosted its profit by 4.6 percent in 2018, the fastest pace in four years. His appointment adds to a string of recent management changes at China’s top banks and financial regulators. In the latest example, China Construction Bank Corp. named Liu Guiping to replace retiring President Wang Zuji last month.